A must for any Icelandophile, this book from Alda Sigmundsdóttir is a follow-up to her earlier The Little Book of The Icelanders. Alda has written several books, both fiction and non-fiction, written for The Guardian and, of course, Iceland Review. She has a large international following on social media, and never holds back when giving her opinion on anything happening in Iceland. Her blog—The Iceland Weather Report—is often the first site I look up when a big Icelandic news story breaks; her frank, open comments provide a lively insight into what is really going on. The Little Book of the Icelanders in the Old Days is fifty short essays documenting the more peculiar and unusual points of Icelanders past. Ranging from vegetables to vagabonds, superstitions to sheep the essays are bite size and best consumed as quick snacks rather than as a full on meal; the book is perfect to dip in and out of. Alda has a light style which is chatty and informal. This is mainly a good thing; it makes the book an easy read and saves it from being too dry. However, very occasionally there is a “freaking” or “sounds like a blast” that doesn’t seem entirely necessary and is a little distracting. Her knowledge and erudition shine through, and I’m not sure that this book could have been written by anyone else. Take, for example, the ljúflingar, gentlemen hidden folk who became lovers of mortal women. I’d never heard of such a thing, but Alda reveals this most peculiar of subjects. If you’re wondering, it seems likely that tales of the ljúflingar were made up to avoid punishment for women conceiving children out of wedlock. 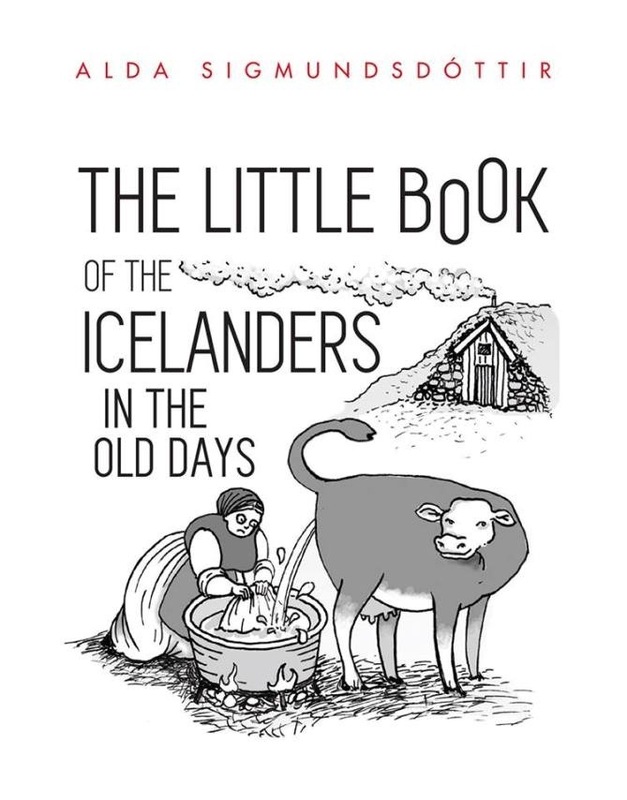 I read the e-book version of The Little Book of the Icelanders in the Old Days, which sadly doesn’t have the illustrations that the hard copy has. It’s a shame; I’m told that Megan Herbert provides delightful illustrations that supplement the text wonderfully. In conclusion, The Little Book of the Icelanders in the Old Days is a neat collection of facts collated by Alda, and presented in her trademark style. It leaves the reader with a better understanding of Iceland and Icelanders in days gone by, and hopefully, a smile or two. The Little Book of the Icelanders in the Old Days is available at Eymundsson stores in the Reykjavík area, and also Mál og menning, IÐA and other selected shops as well as on shopicelandic.com. The e-book version is available on Amazon. Originally published on Iceland Review.